Bare walls are certainly not everyone's cup of tea. It is true that if a room has powerful and striking furniture, that wall colour or paint is not necessary, but, when considered in conjunction with other accessories and decorations, it can bring a completely new dimension to the space. So, the question is, how can we decorate our walls? From traditional paintings to mirrors, through to the always elegant shelving units. All these objects can fill our walls with life and bring an intimate and warm feel to a space. If we consider the walls of our home as a genuine blank canvas to let our creativity run wild, then the result can be simply outstanding. This wall is decorated with a mural depicting a tree coming to life. 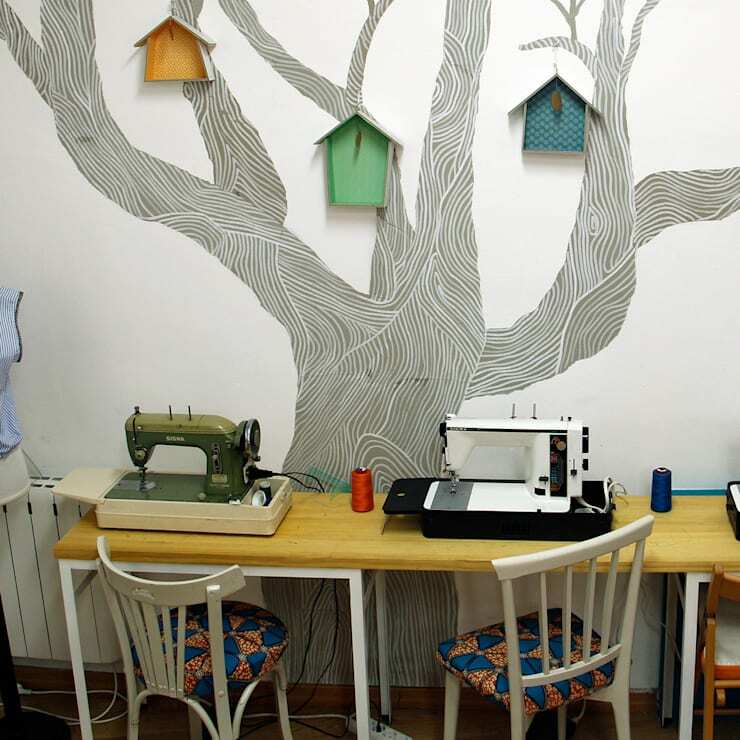 Becoming three dimensional, with birdhouses made out of cardboard hanging from their branches, this mural is simply lifted from the walls. If you close your eyes, you may even hear the birds singing. Pictures on the wall are a classic decoration. No matter the style and size, a picture always attracts a glance, so it is important to choose well. Not only do we have to like what we see in the frame, but it is also important that it goes with the rest of the decor of the room. The same applies to the frame. This fake urban skyline, which appears to be a window, is very difficult to go unnoticed. 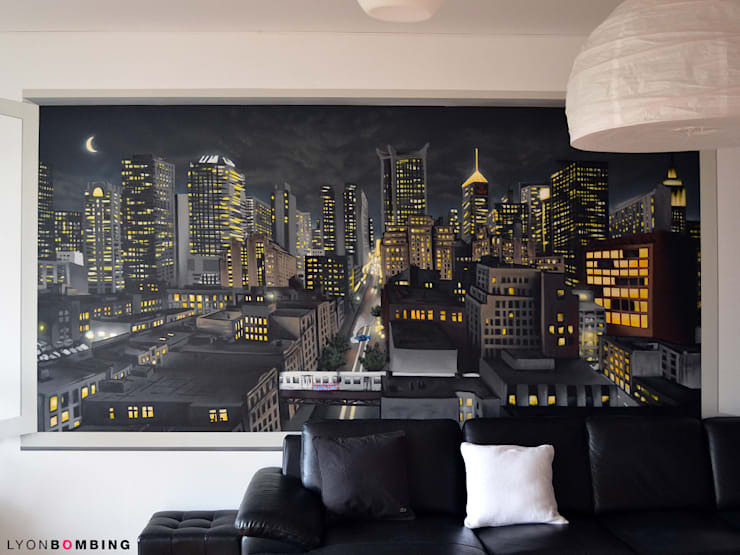 Much more powerful than a painting, the mural is actually a part of the wall, adding to the overall appeal and decorative element of the artwork. 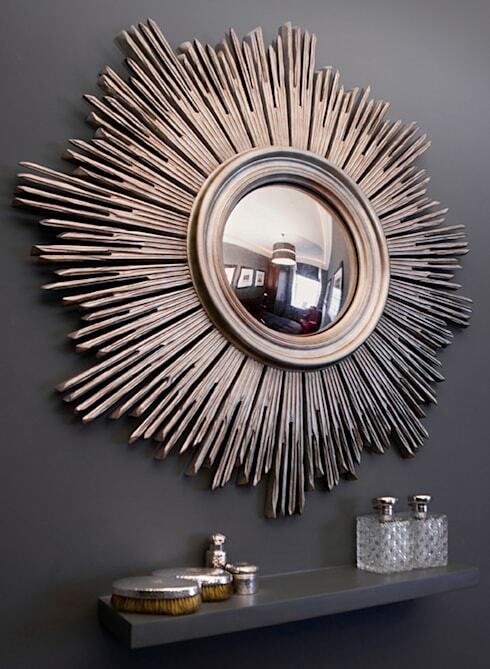 Mirrors are a great resource for the decoration of our walls: not only for their aesthetic function, but also because they are a good resource to expand and provide more light. This mirror is also most original, both for his incredible frame around it, as if sunbeams, and the fact that it is a convex mirror, reflecting a most peculiar image back at us. Decoratively, books adorn this room. 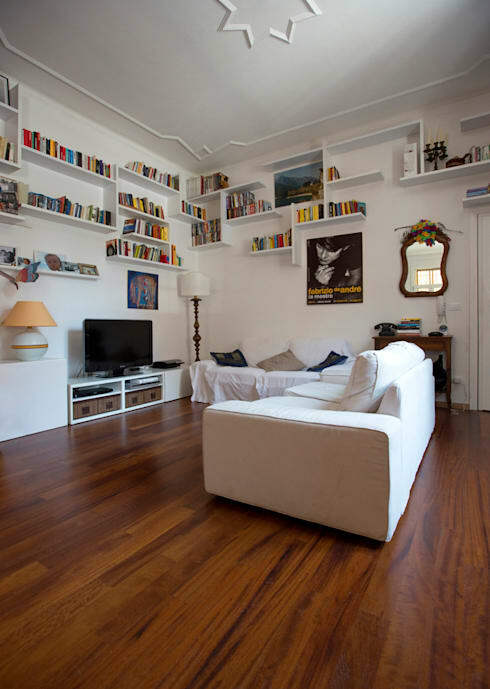 A house with books is an inhabited one and a full shelf is a clear indicator of who you are; allowing you to express your personality without even opening your mouth! Since the saying goes: if you can’t beat them, join them; and we can use this to our advantage in design too. That's what’s been done here. 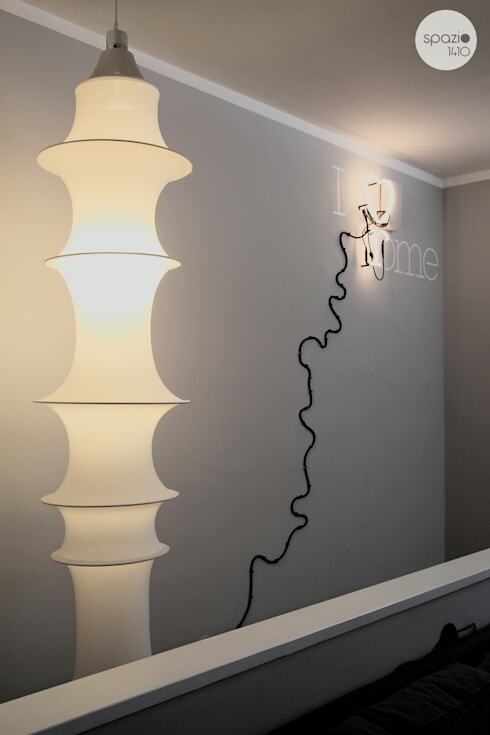 Exposing the tangled cables of a lamp—instead of trying to hide it. A nice twist on something none of us particularly enjoy and flipping it on its head. What are the decorative elements you use at home to decorate your walls?